Your Inner Athlete cares most about who you’re becoming. Not who you were 5-years ago when you were a collegiate swimmer or volleyball player, a super freak fitness maven or a couch sitting pot head obsessed with Doritos. You’re priorities have changed so why keep punishing yourself for who you used to be? Yes, I’m being a bit dramatic to get my point across, yet I hear comments similar to these all the time. These thoughts are extreme and don’t take into account who you’re becoming! Where’s the balance and flexibility within the collegiate athlete and mother she is today or the pot head and the Fortune 500 business owner he is today? The thing is, and it may be a tough pill to swallow, but you need to take responsibility for who you’re becoming, and Your Inner Athlete knows this! How you spend your time is huge, it’s where repetition occurs and your habits develop. Do you spend it complaining, feeling ashamed or making excuses? Or do you spend it taking tiny steps toward your desired outcome? Practiced day in and day out our excuses, and our baby steps away from them aren’t so small. These are our gains! And for me these gains begin and end with Your Inner Athlete! 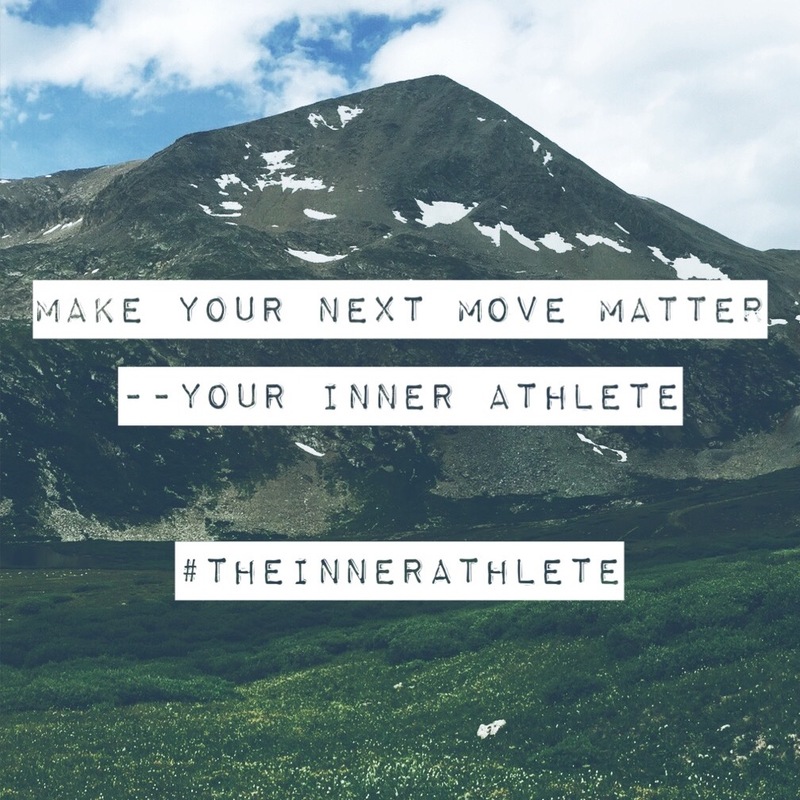 Want to know more about YOUR Inner Athlete? Whether you need to WAKE UP, LISTEN TO, or SHARPEN YOUR INNER ATHLETE… This workshop is the first step in experiencing the FREEDOM of the Inner Athlete partnership. Your Inner Athlete isn’t worried about “Getting It Right” — that means no more anxiety about the “right” diet or workout. The Inner Athlete eats and trains, so he’s/she’s ready for all of life’s brand new adventures. Come Meet Your Inner Athlete! I’ll introduce you, and lead you in a new relationship. Join me on Wednesday, May 24th from 6:00 PM – 8:00 PM at Intentional Path Wellness Center in Denver. Thank you, Tracy! I’m glad you stopped by. NextIs This My Edge Or Am I Being An Idiot?